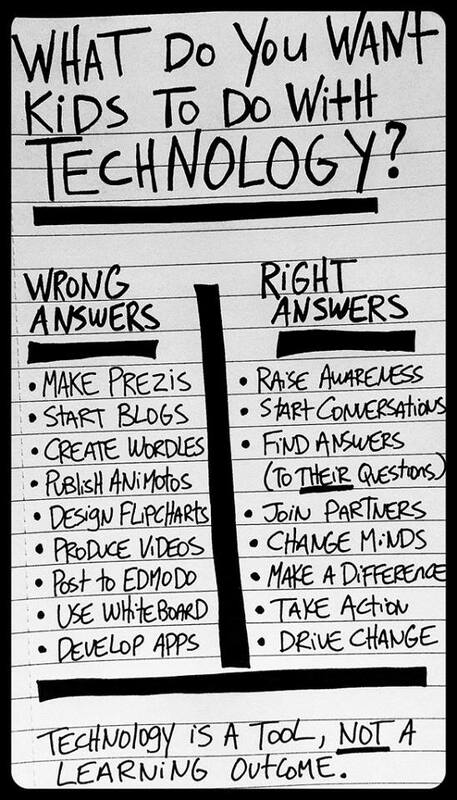 Educational Technology Thought of the Day... | The Techie Teacher® . Educational Teaching Resources posted this chart on their Facebook page this morning and I just had to share it with you all. Very powerful! Thank you for posting this information. It is very insightful. I've been entering every day for that iPad! Love the technology thought. It's a great reminder. Nice post! Glad I got to know this.